Customer feedback software is the most sought-after tools for companies to listen to the voice of customer. This is because customer feedback is the key metric that helps gauge your business value. There’s no better way to improve your brand than with customer feedback and taking the right measures. The emergence of call centers, toll-free numbers, Internet, and finally social media prove the importance of customer feedback. Customer feedback is one of the primary vectors that align the direction of a business. It drives long-term growth and organizations seize every available opportunity to know their customers better. With that said, employing a good Customer Feedback Software is a smart way to collect, manage, and analyze customer inputs periodically. The million dollar question is how can organizations use the feedback data and use it to boost growth. And that's precisely why owning a customer feedback tool is essential for your business. Not convinced yet? Read on- you'll appreciate the importance of client feedback before you choose a customer feedback software that fits your requirements! What are the benefits offered by Customer Feedback Software? When you go out of your way to listen to your customers, they go out of their way to help your company grow. Any brand which failed to listen to their customers' feedback has tumbled down mercilessly. Therefore, the best way to do this is by employing a customer feedback software. 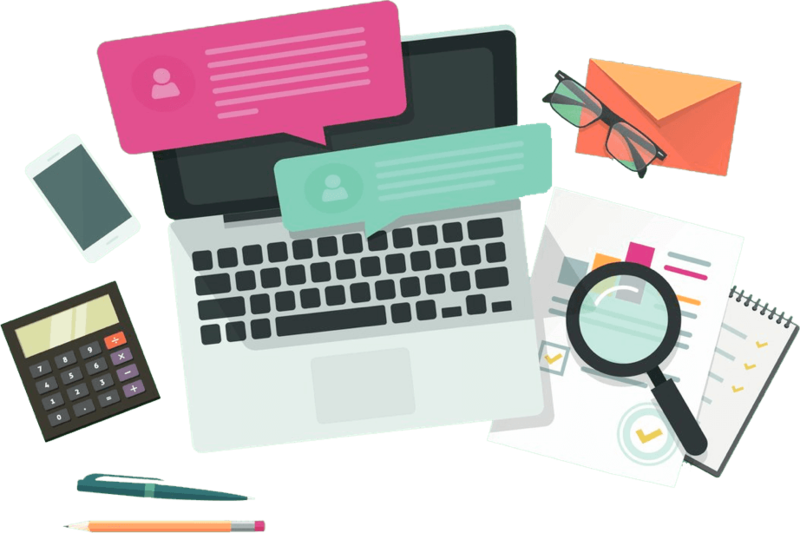 Customer feedback software helps employees be available for clients anytime, anywhere via various channels like emails, chats, social media, etc. The feedback data collected from all these sources are pooled in by the customer feedback software and analyzed. Measuring the data helps organizations understand the critical aspects of the business that needs a revamp. Customer feedback software collects data and feeds it to the dashboard real-time. Conequently, when a respondent enters their response, the software analyzes it instantly and creates reports based on the data. Therefore, with customer feedback software, you can quickly get speedy results and understand the level of customer satisfaction. With customer feedback software, a business can analyze the customer data at a granular level and gain rich insights from it. As a result, the organization can align their strategies and efforts to meet customer needs and provide an excellent customer experience. Customer feedback software helps companies to be self-aware and improve continually. Customers use the product and services that the brand offers. Therefore, it is essential to tweak products and services to match their needs and expectations. With customer feedback software, brands can identify the factors which can improve the product and enhance the service & support. Customer feedback software helps you to understand your customers better. As a result, you can improve customer experience and turn them into brand ambassadors. Put yourself in the shoes of your customers, and this will help you to serve them better. Customer feedback software will help you gauge how satisfied your customers are with customer satisfaction surveys. Happy and satisfied customers drive the business in the right direction. Hence keep your customers at the core of all strategies. How do you strategize? With the insights shown by customer feedback software. Customer feedback helps an organization to keep its customers happy, meet their expectations, and provide a flawless customer experience. As a result, retention rates increases. When retention rates increases, churn rates reduce. With customer feedback software, it is possible to identify unhappy customers. A quick follow-up is what you need to do to turn the frown into a smile. As lesser customers leave your brand, and therefore, revenue increases. What are the different Customer Feedback Survey methodologies in vogue? Any business must place customers at the top of the priority list if they wish to scale massively. According to a recent Gartner survey, 89 percent of companies expect to compete mostly by customer experience in 2016, compared to about 36 percent in 2012. So what are the different ways to gather customer feedback to improve the customer experience you provide? The first and most obvious one is a survey. Asking the right questions to your audience at the right time is very beneficial. Start conversing with your customers and get their feedback on your product. Intercept Surveys are a form of direct interaction with your audience to know their opinion about a particular product or service they have used. It is real-time by nature and can help you get a clearer perspective by the way a consumer reacts to the product! The digital age has given immense power to social media just like the infinity stones make Thanos unstoppable! So never underestimate the power of Social Media. as Jeff Bezos says. Keep a close watch on your social media accounts and reach out to distressed customers. These are designed to identify the reactions and perceptions of a particular product or service. Qualitative data analysis is carried out here contrary to quantitative analysis by surveys. Here, the participants interact, influence, and get influenced. Keep in touch with your customers regularly. Keep a tab on their queries, complaints or any help they may need from your end. More the personalization, more your customers would be able to connect with your brand. Follow up with an email survey and find out if your consumers are happy with the interactions they had with your brand. These questions aim at obtaining feedback while a visitor is browsing through your website. For example, if an online shopper abandons a shopping cart, you can set up a quick pop-up asking why they wish to leave the page. Customer feedback at this stage is crucial in improving conversions. NPS is a simple metric that can help you gauge your customer loyalty. Net Promoter Score asks customers the simple question about the likelihood to recommend the brand to another person. The rating given by them would help you know who will promote your brand and who will bad-mouth it. An NPS software can help you identify your brand advocates and help to take measures to control customer churn rate. When you have a customer feedback software, once you collect the customer feedback data, it’s time to get some real insights from it. Merely having survey data is useless until you use it for improving your brand! If you are clueless about your destination, having a map is pretty useless. Similarly, gathering a lot of customer feedback is pointless if you have no intention of putting it to use for improving the customer experience. Analyze your survey results using a good customer feedback software and uncover what’s amiss and what can be improved. Address the queries of confused customers and resolve issues of distressed customers quickly and efficiently. When you act quick and smart, you can win back a customer who has vowed to never return to your brand. Thus gaining valuable insights and predicting customer trends and behavior helps you to allocate your resources and efforts wisely! How to Choose a Customer Feedback Software? You are earnestly waiting for some customer feedback and is ever-willing to act on it and improve. However, the crucial bridge connecting the two is a good customer feedback software. Unless you have a really good customer feedback software in your hands, all your efforts would surely be futile. So what makes a really good customer feedback software? Welcome open-ended questions and bury closed-ended questions: It’s honestly a waste of time for you and your customers as well when you pose hard questions throughout. You are giving them almost no room to provide accurate answers, and there would be nothing you can learn from it. Stop Interrogating, start discussing: Choosing a customer feedback software that either puts your audience in a deep slumber or demands answer is a big faux pa! The more personalized and friendly you are, the more your customers will connect in return. Respect the time your customers set aside to help you. So keep in short and simple! 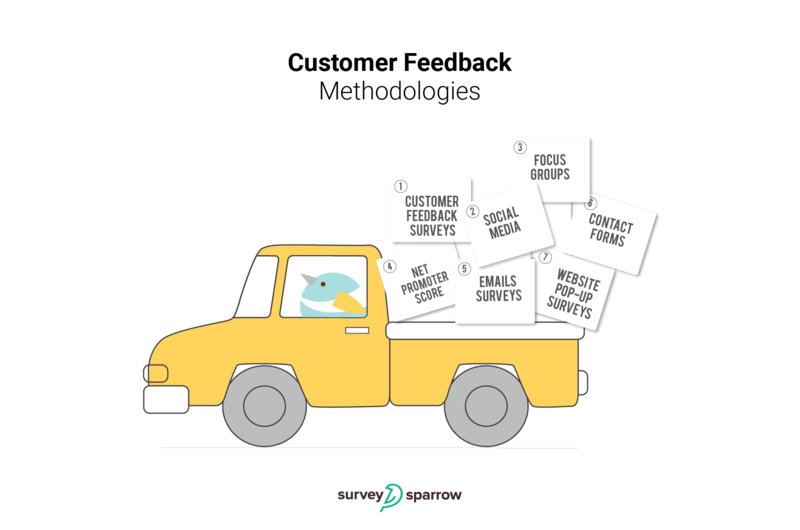 What makes SurveySparrow the best Customer Feedback Software? Once you have sent out your survey and the customers have given you their feedback, it’s time for you to step in. Having a desk full of survey data can be intimidating. However, with a good customer feedback software, you can get clean, well-structured data that can help you gain valuable insights at a glance. Such a customer feedback software which can help you with this immensely is SurveySparrow. A conversational interface helps to engage more people thereby hiking the completion rates. Well then, it’s time to say goodbye to the tedious survey forms. A dedicated dashboard gives you significant insights from survey responses. Don't let a wavering internet connection interfere with your live data collection. Our offline survey app is built to help you collect feedback anywhere, anytime, even in the absence of the internet. With pricing to fit businesses of all sizes, get the best out of SurveySparrow's customer feedback software.